The Kurdistan Regional Government (KRG) in northern Iraq has reportedly refused to hand over control of its international crossings to Shite-led Baghdad, which has vowed to seize authority over the borders of its autonomous region with the help of neighboring Iran and Turkey. Citing a statement issued by the Baghdad-based defense ministry on Friday, Reuters reports that Iraq is planning to wrest control of the KRG’s borders “in coordination” with Iran and Turkey, a move that came in retaliation to Iraqi Kurdistan’s independence referendum that was approved Monday. “The statement did not give more detail or indicate specifically whether Iraqi forces were planning to move toward the external border posts controlled by the Kurdistan Regional Government (KRG) from the Iranian and Turkish side,” explains Reuters. Backed by Turkey and Iran, Baghdad, threatened to impose sanctions, international isolation, and even a military intervention, demanding that the KRG cancel the results of the referendum. 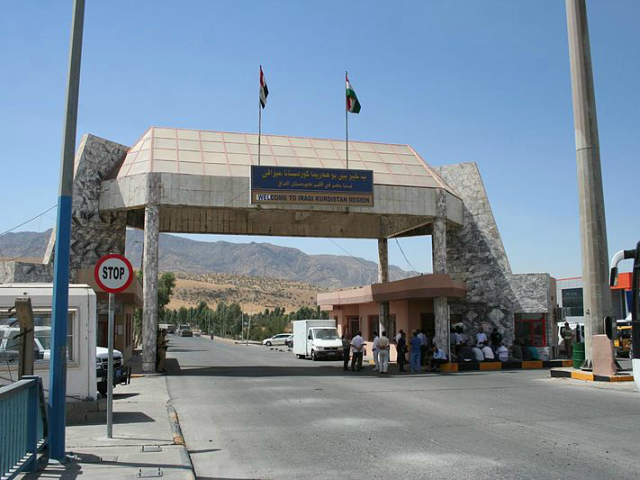 Nevertheless, Kurdish news outlet Rudaw has learned from an unnamed KRG source that Iraqi Kurdistan will refuse to relinquish control of its border crossings to Baghdad. To force the KRG to hand over control of its airports to Baghdad, the government of Iraq implemented an embargo on direct international travel to its Kurdistan region, which is reportedly scheduled to begin at 6:00 pm local time Friday. The move came after the KRG rejected a demand to give up control of its international airports in Erbil and Sulaimaniya. Despite the resistance from Kurdistan, the Iraqi Defence Ministry argues that the enforcement of Baghdad’s decision to seize all the border posts and airports managed by the KRG was “going as planned in coordination with the relevant authorities and neighboring countries, and there is no delay in the procedures,” reveals Reuters. On Monday, the Kurds in northern Iraq voted “yes” to independence, angering Iran and Turkey and defying objections from Baghdad and the United States. Neighboring countries, including Syria, have expressed opposition to the vote, fearing that it will induce Kurds within their borders to ask for independence as well. The vast majority of Kurds are Sunni, but there are some Shiites, particularly in and around Iran, which has also come out against Kurdistan’s independence. In Iraq, the Shiite-dominated government has long disenfranchised the Sunni minority. Tehran maintains significant influence over Baghdad. Both Sunni Arab tribal leaders and the KRG have pushed against the proliferation of Iran-allied Shiite militias in Iraq.